a)	Waterproofing paint: The paint is used to seal cracks that may be the source of basement flooding. b)	Plastic sheeting: This method serves the same purpose as the waterproofing paint method. The plastic sheet is used to seal the cracks that allow flooding. c)	Exterior excavation: Here, a low drainage system is installed after the old one is dug out. •	The experts will create a shallow cut around your wall by breaking the concrete that surrounds your basement. •	They’ll then make a deeper crevice so as to fit corrugated pipes. •	The installed pipes will then be covered with fresh concrete. •	Lastly, a sump pump is fitted to automatically turn on when water is detected in the basement. It will pump out the accumulating water. e)	A dehumidifier: A humidifier is used to pump out the amount of moisture that builds up on your basement. f)	Crack injection: This is a repair solution that suits concrete-poured building foundations and not masonry (bricks, blocks, and stone) types. A filler material (epoxy) is directed into the basement to fix the seepage problem. 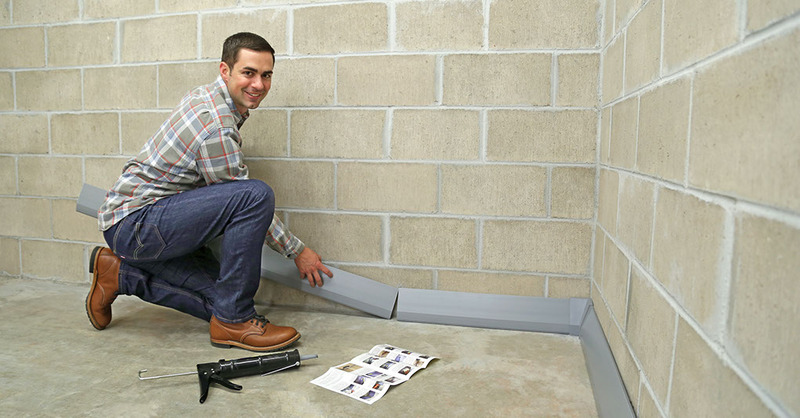 Lastly, you should expect your basement contractor to make follow-ups after the seepage is fixed. This normally takes place a few days after the project is completed. A follow-up is done to ensure that there are no problems after the basement waterproofing process. If your basement is flooding, you shouldn’t hesitate to call an expert contractor. If you are not sure who to call, just talk to basement contractor McCoy in Milwaukee. You’ll be provided with the right estimate for a perfect waterproofing solution.